In a world of social networking, the types of friendships that today's teens form can affect their mental and emotional health for years to come. WASHINGTON — Developing close friendships during high school can help teens to maintain happy, healthy lives well into adulthood, according to researchers from the University of Virginia. “As technology makes it increasingly easy to build a social network of superficial friends, focusing time and attention on cultivating close connections with a few individuals should be a priority,” said study co-author Joseph Allen, a psychology professor at Virginia, in a statement. The study also found that teens who were popular among their peers experienced more social anxiety as young adults. Researchers followed 169 teens over a period of 10 years — starting when they were 15 until the age of 25. Researchers found that teens with close friendships at the age of 15 experienced less social anxiety, an increased sense of self-worth and fewer symptoms of depression by the time they reached 25 compared to popular teens. 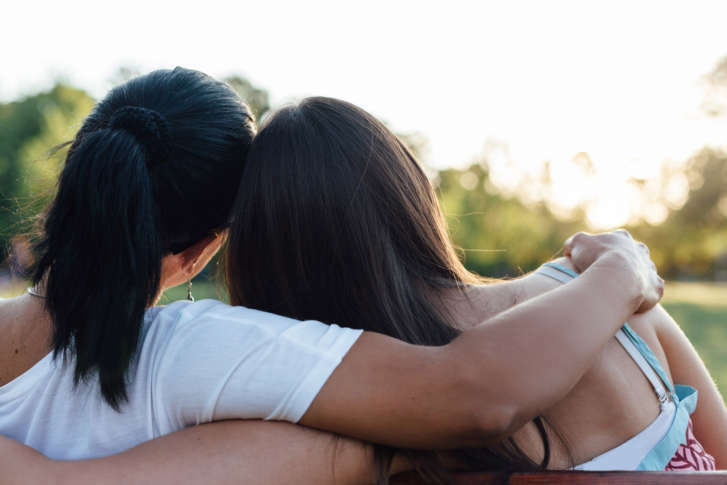 The researchers found that having strong friendships support positive feelings at a point when teens begin to develop their sense of identity and that these teens also expect healthy and supportive friendships in the future. “Being well-liked by a large group of people cannot take the place of forging deep, supportive friendships. And these experiences stay with us, over and above what happens later,” Allen said. The study results were published in the journal Child Development. The Eunice Shriver National Institute of Child Health and Human Development and the National Institute of Mental Health funded the study.